Have you been given the slip of doom lately? A.k.a. the speeding ticket. Most of us have gotten one before, but just because you got the ticket doesn't mean you are absolutely guilty. There are some ways to defend yourself against a speeding ticket and give yourself the best chance of having it dropped or lowered, but in order to do that, you need to know exactly what you were cited for. Was it an absolute, presumed, or basic speed limit violation? You can claim you were tending to an emergency and say that the emergency is what caused you to have to speed. There would have to be a risk of injury to you or someone else for it to count as an emergency. One such instance would be saying that you were speeding to get away from someone who had been trying to run you off the road. 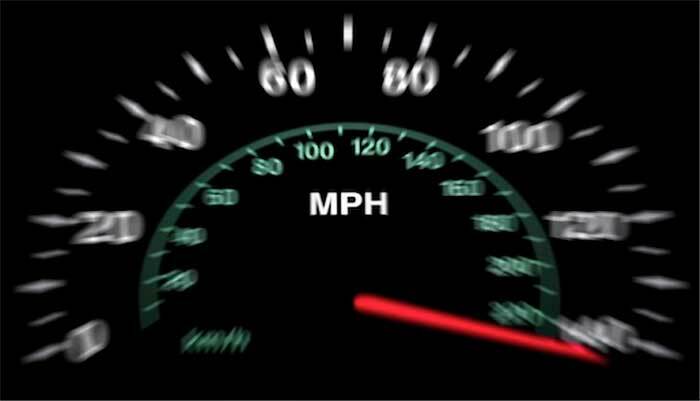 You can cast doubt over the officer's method of gauging your speed, or you can target his training. Upon getting your ticket, the speed will be written on it. It's on you to figure out what type of method he used to determine your speed and craft a defense that takes away credibility from that method or the officer's ability to use the equipment he or she used. You may suggest that the officer doesn't quite know how to use the equipment as he or she was trained. You can defend by stating the police officer identified the wrong car that was speeding. It may be the case that you were just mistaken for another similar-looking car or one that was close to you during the time of the incident. Sometimes cars will only have very subtle differences when they are the same color, which can impair an officer's ability to determine which car was speeding if he or she loses sight. If you get a ticket for driving at a speed that is viewed as unsafe for the current road conditions, you would have gotten a presumed speed limit violation. There are two ways to fight against this type of ticket. One way is to again challenge the officer's gauging of your speed. Another argument is saying that even though you were over the speed limit on the signs, you were going a safe speed for the present road conditions. An example of how to defend would be by stating that you were indeed going 35mph in a 25mph zone, but everyone else around you was going 45mph, which caused you to fear being hit by approaching vehicles. If you use that kind of method to fight your ticket, you have to come with a reason as to why your driving speed was reasonable for the given conditions. Usually, the law will go by what the signs say, so you will have to come up with a good reason to disprove the signs posted. In some cases, it will be impossible for you to convince the courts that your speed was safe when you got the speeding ticket. You won't be able to prove that going 50mph in a 25mph zone is safe, but you may be able to pull it off for a smaller margin such as driving 40mph in a 30mph zone. One such instance would be saying that a new-posted limit was not actually necessary and was only put in effect due to a community request. If you want to battle your speeding ticket with the highest chance of success, you will need visuals to display for the courts. It would be a great idea to drive back to the scene of the incident and photograph the area from multiple angles. It would be best if you went to the spot at the same time of day in the same kind of weather. It's important to stack up as much evidence as you can to try and prove that your speed limit was safe in order for you to have the possibility of having the ticket dropped. Another thing to try is to make a visual board. The diagram should show the setting in which you were pulled over, and you should add anything to it that may build your case. An example would be to show that the road you were ticketed on was deserted or had very low traffic compared to heavy-traffic downtown streets. Another way to fight your ticket is to prove that everyone on the road was above the given speed limit, which caused you to feel like a danger to the road if you didn't speed up. As the opposite of the presumed speed limit, the basic speed limit benefits the officer, allowing him or her to cite you for traveling at a speed limit that is less than what is posted if it has been deemed unsafe for the current conditions. Often times, the speed limit on the sign may actually be unsafe for road conditions during something like a snowstorm or extreme rain. It is up to the officer to decide if you going 35mph in a 45mph was still actually too high for the conditions. So, even if you were below the speed limit on the sign, it's still possible for an officer to decide that you were traveling at an unsafe speed and give you a ticket. The good news is that, in this case, you will have a better chance of fighting it. Now the officer is on offense trying to present the proof that your driving speed was unsafe for the conditions, and you get to defend against what he or she presents as evidence. If there was no accident involved, it's going to be pretty tough for the officer to convincingly prove you were traveling at an unsafe speed. In car crashes, an officer may ticket a party for their speed limit being deemed unsafe for the road conditions. They are basically saying that you must have been traveling too fast if it caused you to get into an accident. But don't feel down about it, because there are some good ways of defending against that kind of determination. Something like wind that caused something to fall into the road and caused you to swerve. The negligence of another driver caused the accident. Something in the road, such as a raised area, was covered by snow.